Police have arrested four US airmen accused of vandalizing a historic South Carolina church in September. The church was also included on a list of black churches found in convicted killer Dylan Roof’s car when he was arrested. 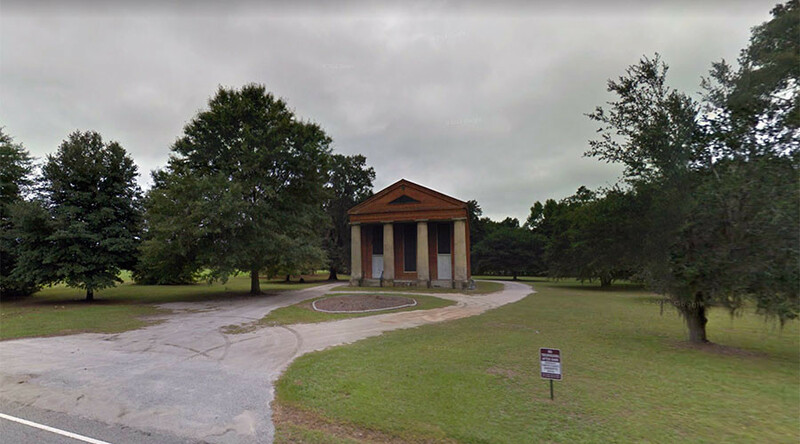 On September 29, a parishioner reported that satanic symbols and phrases had been spray-painted on the columns and doors of the 250-year-old Salem Black River Presbyterian Church in Wedgefield, South Carolina. The door to the church’s sanctuary was also kicked in, but it did not appear that anyone had entered the building, Sumter County Sheriff’s spokesman Ken Bell told the Associated Press. The arrests came shortly after the Sumter County Sheriff's Office released surveillance photos from the incident on Thursday. They quickly received numerous tips from the community, including an individual from Shaw Air Force Base (AFB). The airmen were later identified as Kayla Marie Eilerman, 18, Clayre Marie Savage, 18, Daveion Raaheim Green, 19, and Brandon Munoz 20, the Sumter Item reported. All four airmen gave police full confessions and were charged Thursday with two felony charges of malicious injury to a place a worship, and criminal conspiracy as well as one misdemeanor charge of trespassing, the Sumter Item reported. Two other buildings on the property were also spray-painted, causing damages estimated at $3,000. A spokeswoman for Shaw Air Force Base confirmed that the suspects were stationed on the base, but did not indicate if they would be reprimanded. "The United States Air Force does not condone acts of vandalism," First Lieutenant Alannah Staver told The State. "Such behavior is not representative of the airmen of Shaw AFB as a whole. We feel we are a part of this community, are proud to serve here, and we are disappointed to hear of this incident." In December, a jury convicted Dylan Roof of 33 federal charges in the killing of nine people as they prayed at the end of a Bible study at the historic Charleston church known as Mother Emanuel.